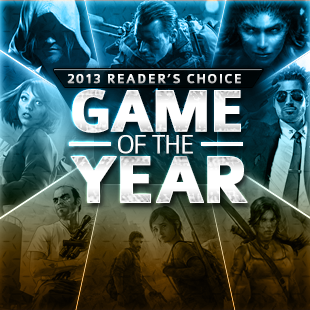 Can XCOM: EW beat out Papers, Please or SR4 prevail over AC4 for Game of the Year? We're down to the last ten hours of voting for the Reader's Choice Game of the Year 2013 tournament bracket and there's some crazy developments. Sure, some of the matchups have been predictable - such as Call of Duty: Ghosts not doing terribly well against BioShock: Infinite and The Last of Us handily beating Super Mario 3D World - but there are a lot of tight races still to be decided today. Will XCOM: Enemy Within move to the next round? Will the Battle of the Cuatros end in pirates or gangsters on top? Is Pokemon better than Lara Croft? Only you can help decide by voting in the official bracket here. Click here to vote in Round One of The Escapist's Reader's Choice Game of the Year 2013 bracket. In the PC division, XCOM is having the fight of its life against the independently produced Papers, Please. XCOM: Enemy Within is a standalone expansion of many people's Game of the Year 2012, and its turn-based goodness is like crack to many an Escapist editor. Papers, Please is a critical darling that lets you play as a customs agent, and it has grabbed the support of people like Yahtzee and Russian YouTuber TheUselessMouth. Talk about this battle at the forum thread here. 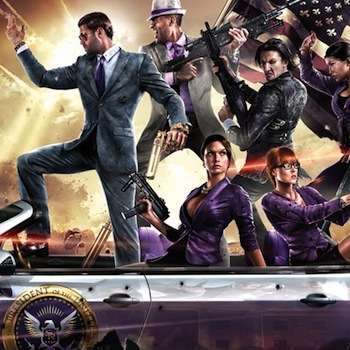 The Battle of the Cuatros is going strong, with Saints Row 4 duking it out against Assassin's Creed 4: Black Flag. The 4th open world gangster game still ostensibly stars the members of the 3rd Street Saints gang, but there's heavy sci-fi elements as you fight through a Matrix-like world and a new starring role for veteran thespian Keith David. There's also some simulations going on in Assassin's Creed 4, but this time you embody a pirate in the Caribbean plunder loots and sinking ships. Both are open-world collection fests, both have a "4" in the title, but only one game can win. It may be a hard thing to compare the RPG with strong turn-based battles that is Pokemon against the gritty adventure of Tomb Raider, but that's what we're all about at The Escapist! Hard choices! There's a lot of Pokemon support here, but Lara Croft's origin story had a lot going for it this year too. One is a tried and true formula for gaming success, while the other tried something new by bringing a female lead to the forefront of a AAA action game. In perhaps the closest race right now in The Escapist's Reader's Choice Game of the Year bracket, which game will reign supreme? And if any of these results seem off to you? Well, then head over to the official bracket and make your choices now! Voting closes at 11:59pm EST tonight! There's only a few hours left!